We’re all riding the crest of a beautiful wave right now at Ibrox. The fields are blue and everything, right now, really is going our way. Top of the league, 90 away from UEL last 32 and a January window in which we could be a few good signings away from a really productive start to the new year. However, one thing has become apparent about this squad – its discipline is frankly awful. How many times this season are ‘heroic Rangers getting results with 10 men’ or even 9? There is a deep-rooted discipline issue that our manager really has to figure out – there are simply too many silly bookings, stupid red cards, and moments which cost the side dear. Sure, the character has to come through and we hold on for a point, but this really isn’t the ideal way to go about our business. Steven Gerrard wanted aggression – for his team not to be bullied. Well, they may have taken that too literally, for red cards aren’t ideal either. Last season Ryan Jack saw red twice for idiotic moments. There were reversals, yes, but these moments keep happening – and it happened in Europe too, so let’s try not to completely buy into an SFA conspiracy here. Scott Arfield’s moment of madness yesterday, followed Daniel Candeias, Alfredo Morelos and a host of other red cards we’ve suffered this season – and a tonne of bookings. We are loving the consistency and results of the football right now, but not so much the consistency of the cards. Whatever is going on to cause our players to see red mist really needs to get fixed. We cannot go through the season losing our best players through ‘aggression’. Hopefully Gerrard can help to get these guys to focus their grit in the right way. Morelos red card was rescinded,Candeias red for blowing a kiss was not a red,and Arfields red was totally out of character,the three mentioned here are not dirty players,take these three out of the equation and we would not be talking about something like this. Reluctantly I do agree with you....... slightly. We have been harshly treated with many of those indiscipline problems but we can't deny that we sometimes we give the referee the opportunity to take action and we know only too well that they will relish the opportunity to take it. Morelos at Aberdeen springs to mind but on the other hand how do you account for the 2 Candeias red cards. Commentators on radio and TV yesterday were shamefully calling for Morelos to be booked for doing nothing more than be a hard working centre forward who gave as good as he got. These type of players, like Hartley, Hartson, Jordan, etc., used to be revered in our game. I'm absolutely certain most referees would've buckled under the pressure and booked Morelos yesterday. Spoke with a couple Chelsea fans in the highlander pub in Puerto Rico yesterday who said Gerrard people are in talks at the moment with Southampton for him to replace Hughes. I argued the case for our manager and that he is here to stop 10 in a row. They laughed and said he is only using rangers as a stepping stone to get to manage a club in EPL and that if he is not there before Xmas he will be by the of january. No chance I told them we are the people. I read two lines of this and my immediate thought was. " How many were warranted". Of the sendings of this season only McCrorie and Arfields were justified .Morelos had one rescinded and the other he was sent off for nothing likewise Flanagan in same game , aerial challenge wins the ball clean, guy rolls about and ref buys it . As for Candeias we all know the first one was a biased ref making things up and the second was not him who committed the foul.We should make the players aware of whats going on but we should not squash their desire and commitment which is a welcome change this season. Hi IN posted earlier about the rumour that Gerrard is heading for Southampton from 2 Chelsea fans in the Highlander bar in puerto Rico yesterday I was putting that out there to see if anyone else had heard anything back home. This is Steven Gerrard we are talking about. Do you honestly believe that his ambitions lie at Southampton. Give me a break. Rodgers would be more likely. Robrob I'm not interested in Roy Rodgers at Celtic. He is a manager that has proved himself I will give him that. But our manager is serving his apprenticeship. So him cutting his teeth with us and then moving on to Southampton means he is climbing the managerial ladder. On the subject of Southampton another fan this time Liverpool was in the Highlander pub Puerto Rico last night when a was in and told me our manager was off to the saints late last night Hughes got bagged. Southampton may be in the EPL but in no way would that be climbing the managerial ladder. 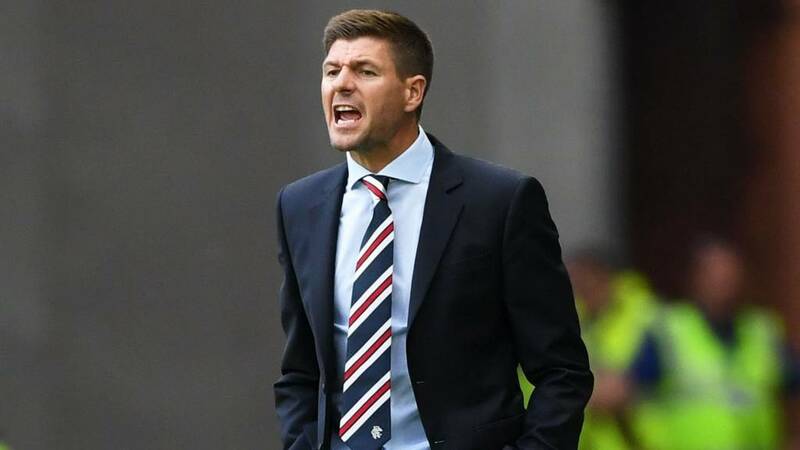 Gerrards ambitions lie at Liverpool and at Rangers he is learning life at a big club challenging for honours in front of full houses with huge expectations. The perfect training for the Liverpool job.